If you have integrated graphic card, after install see custom settings for your graphic card. Disable spyware and antivirus software prior to installing Qpes on your system. Antivirus software can interpret certain applications as damaging to your computer. This is an important step prior to installing any type of software on your computer. Remember to restart the antivirus application once your download is complete. 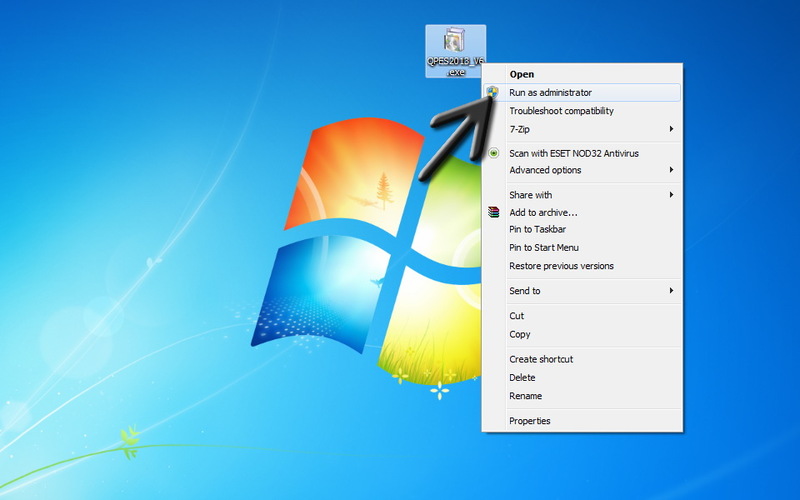 Load the software into your system and follow the on-screen prompts and instructions for installing the product. Installations are usually simple and the software does most of the work. Install the software into the default location. This will provide the program with access to the operating system and hardware it needs to function properly. Run QPES & PSD 2013 icon. 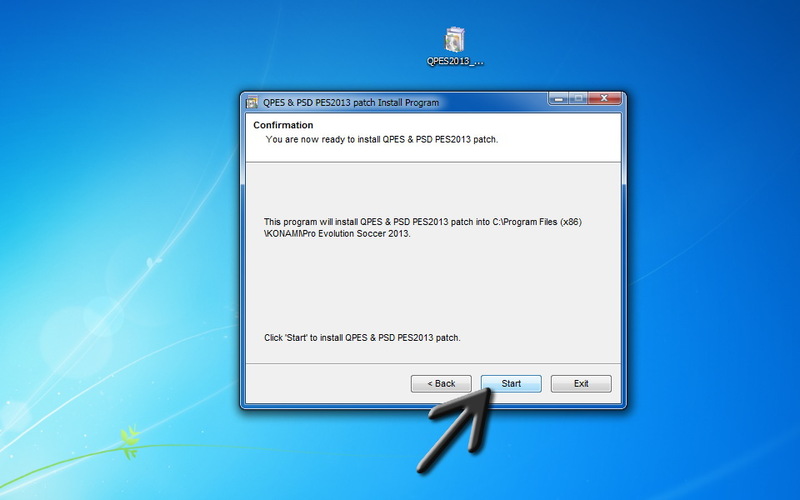 If qpes not start right-click on icon and Run as administrator. Choose setup form PES 2013 DVD. hi i cant play it in full screen why? Update your grphic driver and set primary graphic card ond pes settings. i’m going to play the championship game master and does not work .. why? Hey Man I Have A PROBLEM When It Start Installing Stop At 1% and Tell Me That There Is A Missing File ” D3Dx9_43.dll ” I dOwnlaod It nd Put It In The Folder Game And iN tHE Folder Of The PATCH And In Sys32 folder :p But Alwayse Nothing Hope That you Have A Solution And Thnx ^^. But Alwayse Nothing Hope That you Have A Solution And Thnx ^^. J have a problem wen j donwload it it is 12 mb not 1000mb…what to do? Error coming when i start the game-“The file is either damaged or didnt installed properly”..Please help me what to do… i installed it many times ..!! please help !! Same error. what to do? I want to install qpes7 but allways get error 21FC :S img/xx0f.img The file contains invaild data. (error 21FC). 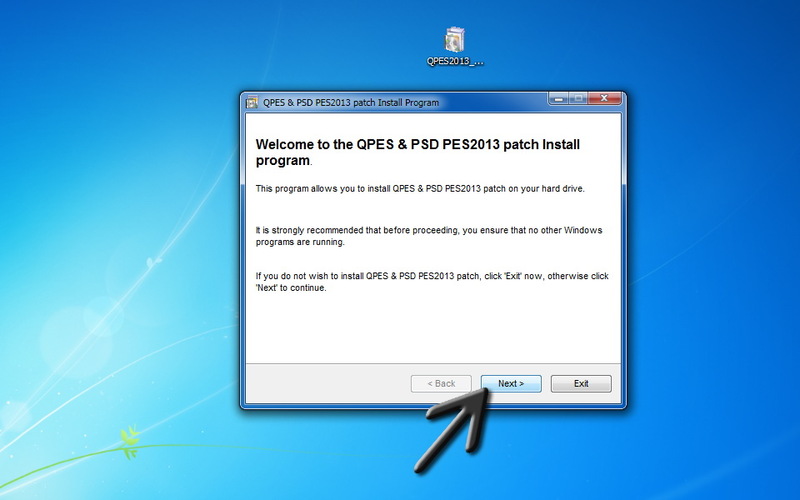 when i clik on the qpes 2014 icon it tells me that the pes.dll is not working what can i do?? Turn off antivirus. Check your disk space. can i install in ps3 ?????? can i install in ps3 ? where I can make boots can you tell me which folders are ? Error coming when i start the game-”The file is either damaged or didnt installed properly”..Please help me what to do… i installed it many times ..!! please help !! It says that I didn’t installed correctly and that I must uninstall it and the install it.I have done it again and it is the same.Please help. I am using Pesedit Patch also so maybe that is the problem but I am doing this just for kits and little things like PS3 buttons so maybe you can give me links for that. Hey man… where I put the comentary in portuguese ? What Folder? Inside the game no have option to chance american comentary to portuguese, only has menu language. I have the img in portuguese, what folder I have to put the file in qpesv11 ? este incluye todos los pachs y DLC oficiales?